The Blackrock Tourism and Development Group are delighted to announce the inaugural “Blackrock Film Festival” taking place over 4 days from Thursday 31st August to Sunday 2nd Sept 2017 in the village. 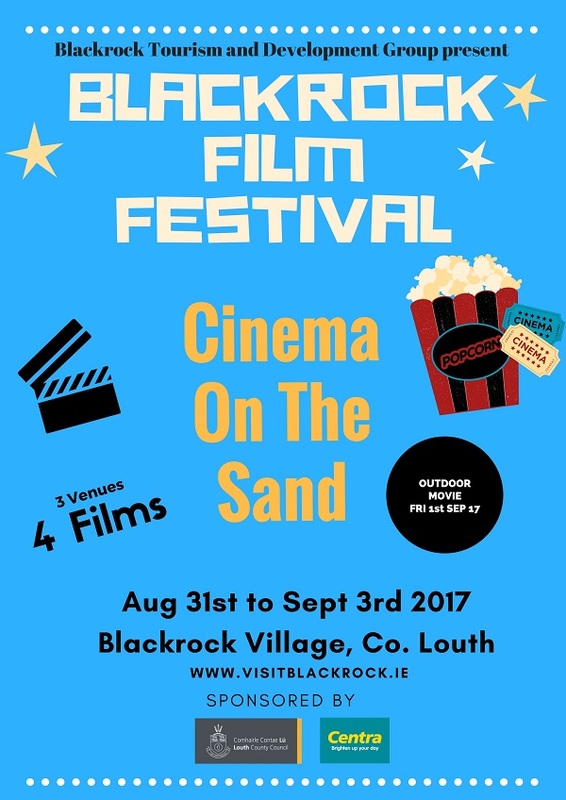 The festival which is an expansion of the hugely popular “Cinema On The Sand” event which has run on Blackrock Beach for the past few years and has drawn hundreds of spectators. The plan this year is to continue to show a movie on the beach but also to show three other movies in venues around the village over the weekend.